Evening all, I know some of you’ll be or have been celebrating the Spring Equinox today. I haven’t. Oh, I’ve been enjoying the day and I rearranged the alter. 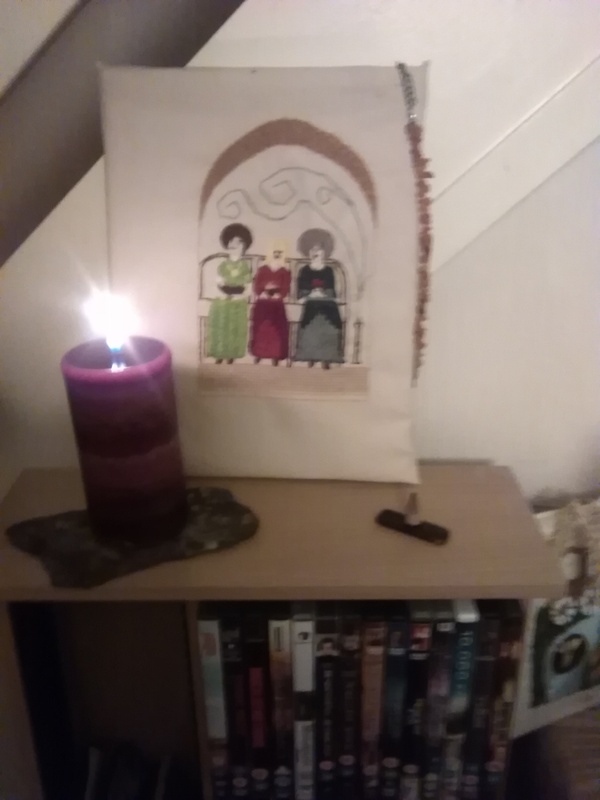 It’s now in the sitting room and the Matronae have their own shelf and candle. I promised it to them if they’d help me get through a particularly tough time with my depression and financially.